Research project Global market-based instruments for the protection of biodiversity The aim of a newly established and ambitious research team (with funding from a NWO-VIDI grant) is to develop global economic policy instruments to protect biodiversity and ecosystem services. This project is unique in at least two ways. First, it explicitly investigates the long-term situation at a global level, and second, it takes a truly interdisciplinary approach integrating ecology, economics and moral philosophy. to design and evaluate alternative cost-effective and efficient economic policy instruments for the protection of global biodiversity and associated ecosystem services. The PhD student will be jointly supervised by the lead researcher from IBED and Prof. Roy Brouwer from the Department of Environmental Economics at the Institute for Environmental Studies, VU University Amsterdam. The appointment is expected to start in June or July 2011, and will be for a maximum period of four years (18 months plus a further 30 months after a positive evaluation) and should lead to a dissertation (PhD thesis). An educational plan will be drafted that includes participation in relevant (international) courses, conferences and other meetings. PhD students are also expected to assist in teaching under¬gra¬duates. The salary is in accordance with the university regulations for academic personnel (Collective Labour Agreement, Dutch Universities) and will range from €2,042 (first year) up to a maximum of €2,612 (last year) gross per month (scale P). The annual salary will be supplemented with an 8% holiday allowance and an 8.3% end-of-year bonus. The Faculty of Science at the UvA is one of Europe`s foremost institutions of higher education and research in its chosen fields of specialization. It plays an active role in international science networks and collaborates with universities and industry. The Faculty has approximately 2,500 students and 1,500 staff members spread over 4 departments and 8 research institutes. Each institute has its own research programme, a substantial part of which is externally funded by the Netherlands Organization for Scientific Research (NWO), the Dutch government, the EU and various private enterprises. In September 2010, the Faculty moved to new premises in the Science Park Amsterdam. The Science Park is now one of the largest centres of academic research in the Netherlands. The Institute of Biodiversity and Ecosystem Dynamics (IBED) is one of the ten research institutes of the Faculty of Science. IBED covers a wide range of subjects, in both fundamental and applied research. Our scientific studies aim at a better understanding of the dynamics of ecosystems at all relevant levels, from genes to climate change, using a truly multidisciplinary approach. Information on this position can be obtained from Dr Marc Davidson, +31 (0)20 525 7379; [email protected] or Prof. Roy Brouwer, [email protected]. 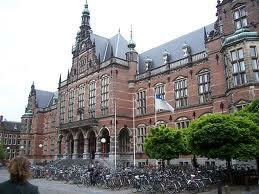 More information about employer University of Amsterdam (UvA) on AcademicTransfer. Direct link to this job opening: Visit Official Website. Demikianlah informasi mengenai PhD candidate in Environmental Economics at University of Amsterdam semoga berguna bagi anda.